Even if you’ve only got limited time in Taipei, a visit to northern Taiwan’s countryside is a must-do. 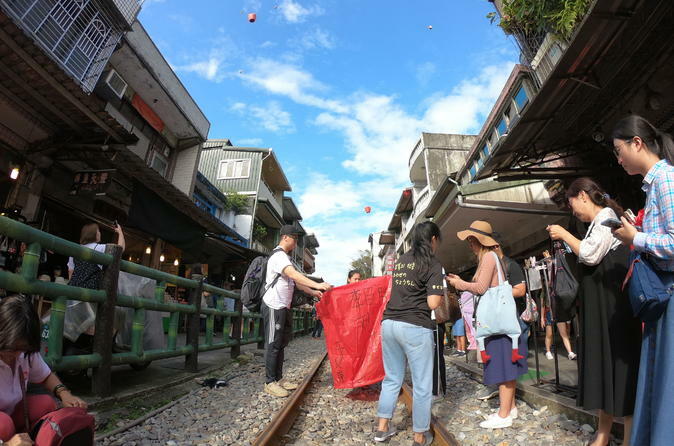 Skip the hassle of arranging transfers and entrance fees on a private tour that transports you to Jiufen Village and your choice of national park with ease. 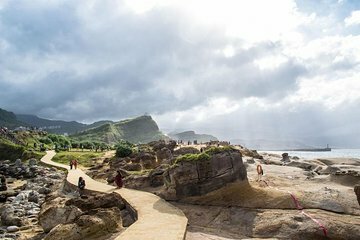 Depending on your interests, you can customize your itinerary and choose between three different routes, which include Yehliu, Houtong, and Yangmingshan National Park. We weren’t sure where to go during one day close to Taipei and our guide proposed us adequate visits, found us a typical fish restaurant and even improvised a last minute visit in Taipei because we had a bit more time left. He was genuinely ready to adapt to our wishes in one day and we spent our day enjoying the different visits at our own rhythm and without any language barrier issues. Would recommend 1000x. Thank you! I can't believe how accommodating this trip was, we had a perfect time after a huge mixup which was easily fixed, this is one trip to absolutely take! We got to choose from a list of recommended destinations and our guide, Lawson, came up with an itinerary. Lawson was very knowledgeable, professional, and friendly! He knew the right areas to take us to. At each destination, he gave a brief and informative synopsis and let us explore on our own! The car we drove was new and very clean. Lawson was a great driver, very safe. I highly recommend a tour with this company, you will not be disappointed!! We enjoyed the full day Northern Taiwan Tour with our guide Eddie during a layover in Taipei. We had a wonderful day exploring a temple, village markets, waterfalls, flying a lantern, and many other sights. Eddie was very friendly, knowledgeable, and patient with all of our questions. He was very considerate of our comfort and safety and his new car is very nice! The highlight was our trip to Juifen where Eddie explored the old street market with us, helping us order a delicious lunch, suggesting samples we should try, explaining items we saw and helping us order the best bubble tea ever! All in all a fantastic day and I would highly recommend this! From start to finish this was a very enjoyable day. Our guide handled everything concerning our tour with brilliance. Besides handling the logistics during the day he gave us good and accurate information. He took us from place to place and in the car he gave us information about the next place to visit. Once there he gave us space for checking everything out by ourselves. Perfect, Another very good thing about this tour is that you can customize it after your own interests making it possible to see exactly what you want to see. Highly recommended tour with a superb guide. Lawson was a wonderful guide. He was informative, pleasant, polite and made everything effortless for us. The itinerary was well composed with the right amount of time in each location. We never felt rushed or that we missed something. The variety of the sites was also very good - the geopark, waterfalls, gold museum, Jiufen and finally the Shefen lantern experience.